If you want to reduce blood sugar naturally and have not found a proven natural way then you are lucky to have reached this post as we will explain how to reduce blood sugar naturally by upto 30 mg/dL within 48 hours in a proven way. Pre-diabetes can be easily managed with natural, non-medicinal approach of consuming a fruit called JAMAN, there are other names for this fruit e.g. 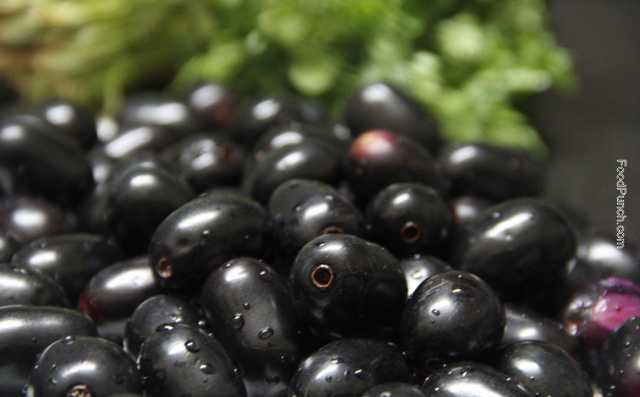 JAMUN, JAMBUL and the scientific (botanical) name is SYZYGIUM JAMBOLANUM. Diabetes (insulin & non-insulin dependent) require other medicines for full control but Jaman can be used as complementary as it can reduce the requirement for traditional drugs to keep the blood sugar within safe limits. Traditional sugar controlling drugs work on your pancreas &, kidneys to control sugar and in the process damage these organs. If you can reduce your dependence on the traditional drugs, it will benefit you in the long run. People living in South East Asia (India, Pakistan) are fully familiar with Jaman for hundreds of years. It’s a type of berry which grows on trees only during the rainy season. Eat 15 fresh JAMAN daily with lunch & dinner during the season when available. After the season you can eat the powder of it’s seeds, approx. one tablespoon per day. It’s available easily, search the internet for it. After the season you can also drink JAMAN juice, approx. one tablespoon with every meal. available easily, search the internet for it. Drinking juice is the least favored option as all juices contain some type of preservative. If JAMAN juice is not available, the next best option is to have JAMAN extract which is homeopathically prepared and known as SYZYGIUM JAMBOLANUM Q (mother tincture). The reason this extract is better than the juice is that it doesn’t contain any preservatives. The mother tincture contains alcohol which acts as a preservative. In this case, you should have 10 drops of this mother tincture with some water, twice a day. The dosage above is an approximate and you will need to adjust your dosage based on your sugar level. Most people report a reduction of 10-20 mg/dL within 24 hrs which is huge for Pre-Diabetics. If your sugar doesn’t drop within 24 hrs, it normally means that you have some infection in your body which is hindering with it e.g. swollen & bleeding gums which indicate infection at the root of the teeth. You will need to address it first because the sugar will not drop if you have an infection. In case of gum infection, in most cases you can cure it by brushing your teeth properly & carefully and then flossing them thoroughly daily for at least one week. The test that your teeth infection has reduced or finished is that you will brush your teeth and your gums will not bleed. If brushing & flossing doesn’t help, you will need deep-cleaning or scaling done by a dentist. If you are interested in getting further details on how to control your sugar naturally, please Contact Us for free advice. For those who have been on allopathic medicines & insulin, the reduction in sugar due to eating JAMAN will come over long term but the need of traditional medicines may never go away fully. Remember that no amount of medicine will help overcome your health issues if you don’t live a healthy & holistic lifestyle. If you have diabetes running in your family, then you would need constitutional homeopathic treatment to remove the underlying tendency towards diabetes. There is no other form of medicine which can cure the genetic disposition to a disease. Constitutional treatment works like a charm when despite living a healthy lifestyle you can’t overcome the genetic pre-disposition. For this, you can contact us or any good homeopath.